Cooling Towers - Cook Manufacturing Group, Inc. 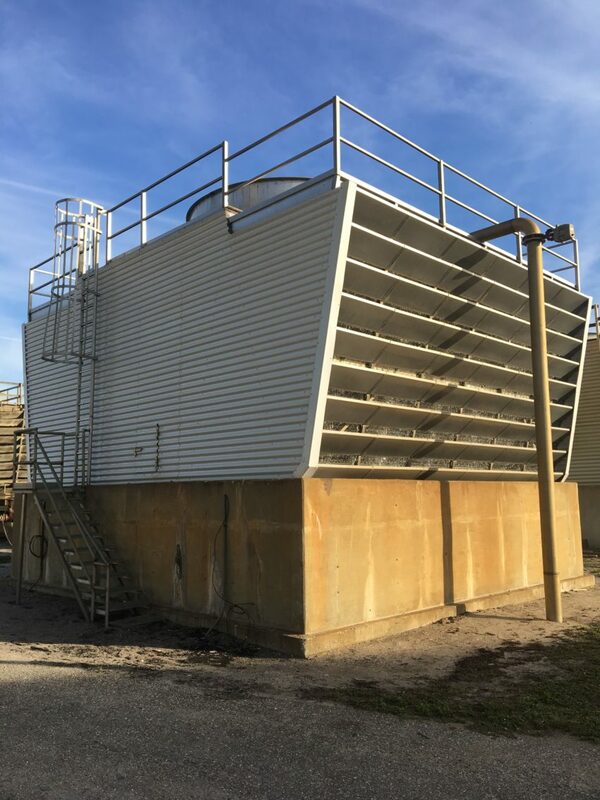 The Cook stainless steel cooling tower provides not only superior performance, but durability unlike any other cooling tower currently available. The internal structure and most mechanical parts are stainless steel. The only non-metal parts are the fill (slats) for water dispersal (we recommend the traditional wooden fill, but even these can be provided in stainless steel if desired) and some fiberglass end enclosure panels. Even these panels can be replaced with corrugated stainless if desired. A tower of this construction is significantly more costly than a traditional tower of wood and fiberglass grid construction with a concrete basin. However, a Cook tower is nearly maintenance free and has a nearly unlimited service life. Traditional towers made of pressure treated wood eventually need a major rebuild as the wood decays, cracks, splinters, and breaks. The fiberglass grid supports for the fill (slats) degrade over time and may collapse. This greatly reduces the efficiency of the tower and is costly to repair. Also, wooden towers present a fire hazard, especially if the tower is unused for a period of time such as an off-season. All these issues go away with a stainless Cook tower. If a closed loop, non-contact cooling system is needed an Evaporative Condenser is an alternative. Some processes contain undesirable components in the condensate. It may foul and greatly increase the treatment required by the cooling water. Conversely, some process condensate may be clean enough for reuse; mixing with cooling water would contaminate otherwise usable water. Let our engineers discuss your particular process needs and determine if this is the best option. These are also all stainless steel construction, very low maintenance, with a very long service life.